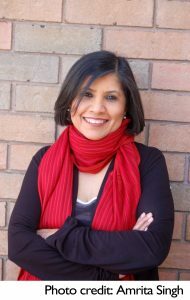 Rina Singh has published several critically acclaimed books for children inspired by her Indo-Canadian heritage. Diwali: A Festival of Lights was nominated for the Red Cedar Award, and A Forest of Stories has been translated into many languages. For more information visit www.rinasingh.com.